I’m hearing some troubling notions from those who voted on the losing side of a presidential election. At the risk of sounding sanctimonious and self-righteous, I’d like to offer a rebuke to that sentiment. I didn’t vote for him, either. I detest the notion that he is about to become the 45th president of the United States. My visceral loathing of him is deeper than anything I’ve felt for any of his predecessors. He is my president, though. Why? Because as president he will offer policy prescriptions that affect every American. I’m one of ’em. I intend to fight him whenever I can through this blog. It’s my right as an American to speak my mind and to protest what my government is doing. I will do so vigorously when the moment presents itself — and so far, those moments are coming with stunning frequency. 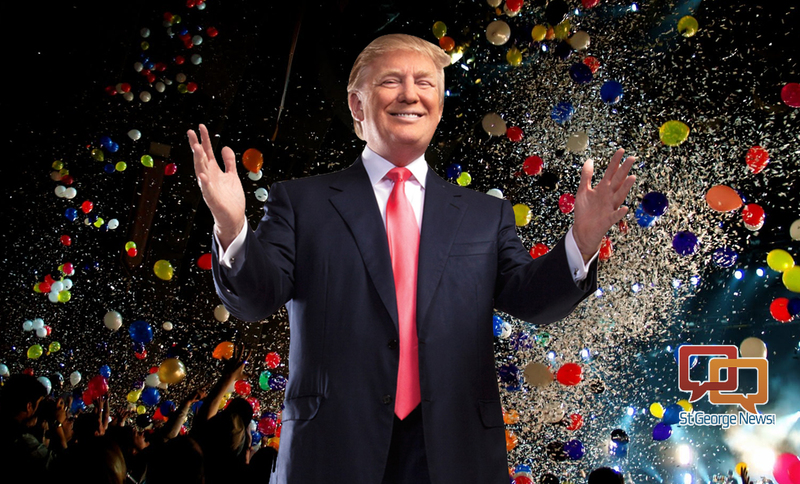 Trump is my president, nevertheless. This “ain’t my president” mantra is far from new. Republicans/conservatives yapped the same nonsense when Barack Obama was elected in 2008 and re-elected in 2012. Democrats/liberals yammered the same lame refrain when George W. Bush was elected in 2000 and re-elected in 2004. You can go back as far as you want in history and dig up statements from those who said the very same thing about past presidents. Me? My inclination — no matter the outcome — has been to accept the result. I might not endorse it. Sure, I’ve swallowed hard plenty since the Nov. 8 election. I’ve done so before. I won’t, though, accept the idea that the man who’s about to take the oath of office isn’t my president. I detest the notion of Trump having the word “President” stated and/or written with his name. I also reserve the right to be critical — even harshly so — of my president. ‘Playing to his base’? What about the rest of us? Light a match to Old Glory and go to jail and lose your citizenship. Yeah, that’s the ticket. Never mind the constitutional guarantee that doing something so reprehensible is protected under the First Amendment’s freedom of speech clause. The president-elect, though, ignored that fundamental truth when he blasted out a tweet that said those who do such a thing need to spend time in the slammer and forsake their citizenship as Americans. The Washington Post and other media, though, say that Donald J. Trump is “playing to his base,” the voters who’ve stood with him through all the insults, innuendo and idiocy that have poured from his mouth. But what about the rest of the country, Mr. President-elect, that didn’t vote for you? What about those of us who are appalled by your seeming ignorance of constitutional protections and your belief — if that’s what you truly believe — that the Supreme Court got it wrong when it ruled on two occasions that burning the Stars and Stripes is protected political speech? My wife and I fly a flag in our front yard, too, by the way. I won’t buy into the notion that Trump isn’t my president. I didn’t vote for him, but he’ll take office in January and will assume the role of head of government and head of state. I ain’t moving anywhere. I’m staying right here in the U.S. of A. and will continue to register my gripes — more than likely quite often — over policy pronouncements that come from the president. Trump won’t be president just for those who stood with him. He’ll be my president, too. Thus, I hereby demand that he stop making idiotic declarations. How about taking back that crap about flag burning? 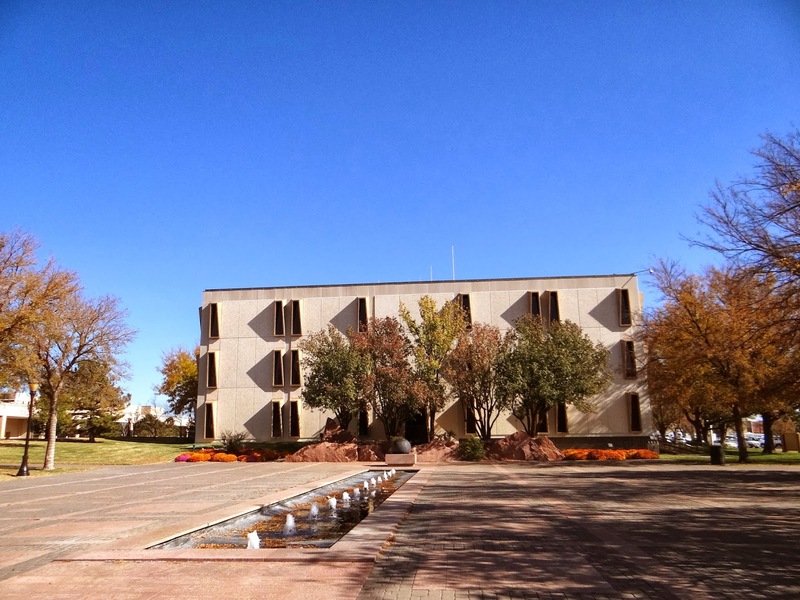 Amarillo needs a city manager more than its governing council might realize. Then again, perhaps the five individuals on the City Council do realize it. Still, the search for a permanent chief municipal executive might get complicated in a major hurry. Given that I don’t get out as much these days as I did when I was working full time for a living, I am not privy to all the chatter and clatter that rattles around the city. But I did hear a thing or two today that makes me think about the upcoming city manager search and the issues that might complicate it. The City Council makeup might be changing. The buzz I heard is that Mayor Paul Harpole won’t seek re-election. He’s had enough. He’s done. It’ll be back to selling cars full time for His Honor. Councilman Mark Nair might be on the fence about running for re-election next May. I have heard that Councilman Elisha Demerson wants to be mayor. Councilman Randy Burkett, I’m told, is a cinch to seek re-election. No word on the newest council member, Lisa Blake, and her plans to seek election to the seat to which she was appointed. The council has this reputation for dysfunction. The former interim city manager, Terry Childers, laid it on the line a few months back. He scolded the council for contributing to the “caustic” atmosphere at City Hall. He blamed council members for the “dysfunction” that infects local government. Does the headhunter the city hired to recruit a qualified pool of candidate expect to deliver a top-quality corps of candidates given what’s been transpiring at City Hall? The city election looms large. Childers was supposed to stay on until after the May municipal election. Then he popped off at a constituent and quit. He cleared out his desk and returned to Oklahoma City, from where he came a year ago. If the council undergoes another wholesale change in its makeup in 2017 similar to what it got in 2015, that in itself might be enough to dissuade qualified manager candidates from seeking the job. Why is finding a manager so critical? Well, the city is in the midst of a wholesale change downtown. I drove along Buchanan Street this afternoon en route to an appointment on the other side of town and I was struck once again by the incredible change in the appearance of the street. From 10th Avenue north to Third Avenue, you see all that major construction: the Excel Building, the multi-story parking garage, the Embassy Suites convention hotel. Then you see the demolition of the Coca-Cola site still ongoing just south of City Hall to make room for the multipurpose event venue/ballpark. The city is negotiating with a minor-league baseball franchise to relocate in Amarillo. Amarillo needs a firm hand on the till to guide all this to a successful conclusion. Dysfunction. Uncertainty. Continued change. It’s all there to make municipal government an even more complicated and challenging endeavor than it already is. My optimism that the city can navigate through this mess keeps ebbing and flowing. At this moment, I’m feeling the ebb — but I am hoping for the flow. Donald J. Trump’s propensity for popping off on social media came into amazing, sharp focus with his latest rant about flag burning. And it demonstrates why the president-elect’s on-the-job training for the office he is about to assume is so troubling to many of us … who didn’t vote for him. Trump went on another Twitter tirade and said that those who burn the flag out of protest should spend time in the clink and possibly lose their citizenship. This goonish statement underscores as well as anything he’s muttered or sputtered during the course of his fledgling political career how — in a normal election year — he wouldn’t have won the presidency. His ridiculous assertion ignores — willfully? — that the U.S. Supreme Court has ruled time and again that flag-burning is a protected form of political speech. 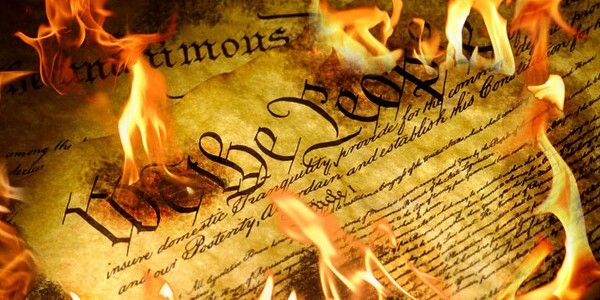 The First Amendment is pretty damn clear about it and anyone who has read that amendment ought to know it — and that makes me believe beyond a doubt that Trump has no clue as to what’s contained in the nation’s governing document. Donald Trump won enough electoral votes to defeat Hillary Rodham Clinton and become the 45th president of the United States. It puzzles me to the max — even now, weeks after the election — just how this happened. Still, I accept the result, as distasteful as it is to my political palate. I cannot help but wonder, though, how many more idiotic pronouncements the president-elect is going to make. How much more consternation is he going to cause with his utter ignorance of something so fundamental as freedom of speech and political expression? I’ll repeat what I’ve said before and what others have said already: We have elected a dangerous man as our next president. The fictional TV husband, Ricky Ricardo, once had the perfect answer to a ridiculous assertion that his wife, Lucy, had made. What in the name of all this holy and sacred is this guy thinking? Or, better yet, is he thinking — at all? 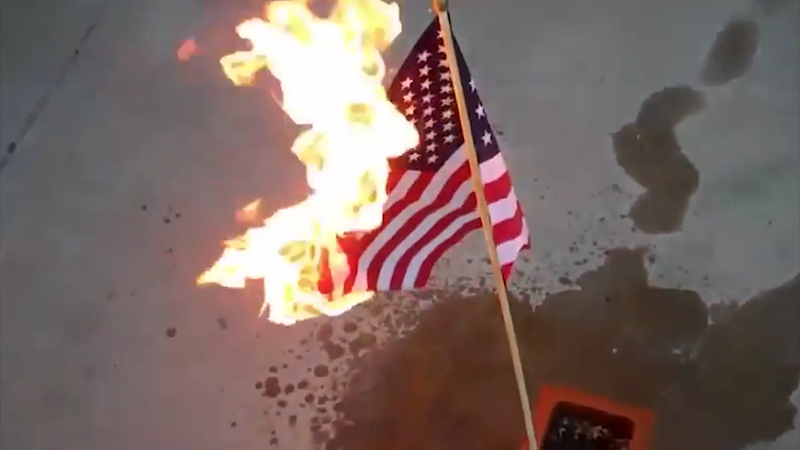 The U.S. Supreme Court has ruled twice in the past quarter century that burning Old Glory is a form of political expression. Thus, the high court said, it is protected under the First Amendment of the U.S. Constitution. Or “abridging the freedom of speech.” There it is, Mr. President-elect. It looks pretty clear to me. This guy needs the mother of all reality checks. He once told a TV interviewer that women should face punishment if they obtained an abortion. He backed off that nonsensical assertion not long afterward. Now this? He wants to punish folks who burn the flag to protest government policy? Before you accuse me of being soft on those who do such things, I feel the need to restate something I’ve said over many years. 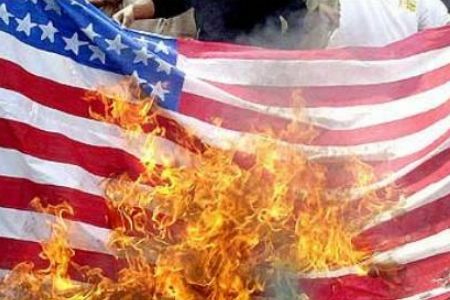 Those who seek to sway public opinion in favor of whatever point they make could not do anything more to turn that opinion against them than burning a flag. Moreover, as one who once served in the Army and went into a war zone when ordered to do so, I take a back seat to no one in my love of country and its symbols. No one should burn a flag in my presence. That said, it is a legal act that the Constitution protects under the very first amendment the founders wrote into our nation’s governing document. It must stay that way. Read the Constitution, Mr. President-elect. You’ll learn a thing or three about how this nation functions. Donald J. Trump hung epithets around the necks of all his political foes while winning the presidential election. The label “Lyin’ Ted” was aimed at U.S. Sen. Ted Cruz of Texas. Cruz cannot come close to matching the lies that Trump has told. He has put out another grand lie. It regards the election results. 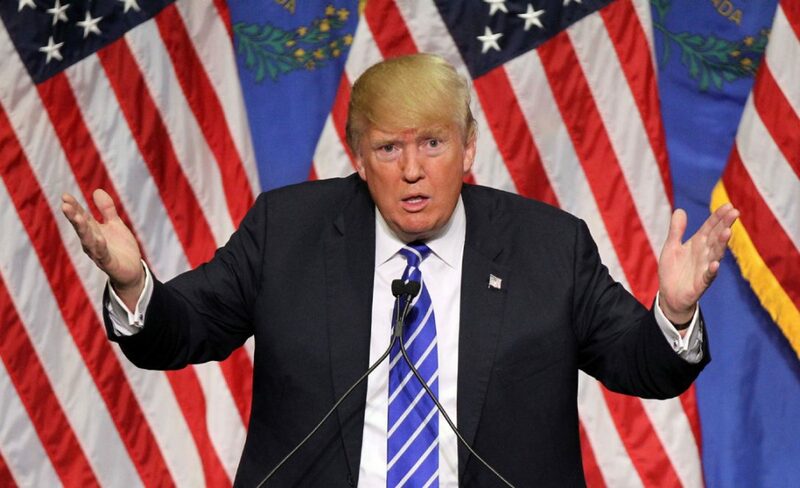 Without an ounce, a scintilla, a tiny grain of evidence, Trump now asserts that “millions of votes were cast illegally” for Hillary Rodham Clinton on Election Day. Way to go, Lyin’ Donald. He’s managed yet again to defame local election workers, staffers and elected officials. They’re recounting ballots in Wisconsin. They might do the same in Michigan and Pennsylvania. Lyin’ Donald won all three states. Green Party presidential candidate wants the votes recounted to ensure that the original count was done with integrity and honesty. For Lyin’ Donald to suggest, though, that millions of votes were cast illegally only validates the assertion that many have made about the president-elect. He has no shame, no sense of propriety … but he’s loaded with gall. Kellyanne Conway leveled a most unusual criticism over the weekend. Her boss, Donald J. Trump, has invited Mitt Romney to visit with him for the purpose of deciding whether he wants the 2012 Republican presidential nominee to be the next secretary of state. Conway, though, doesn’t want Mitt to take the job. He doesn’t want the president-elect to consider him for the job. I cannot remember ever hearing a transition flunky question out loud the actions of a president-elect. Not one time have I heard such a thing. However, this is what is happening. Conway managed the Trump campaign to victory against Hillary Rodham Clinton. Trump is the president-elect. Conway is his hired hand. She works for him. Now she’s questioning his judgment in interviewing Mitt Romney for the most visible Cabinet post in the new administration? I’ve mentioned in previous blog posts the chaos that has developed in the Trump transition effort. I believe Conway’s anti-Mitt rhetoric illustrates the chaos perfectly. I overheard part of a conversation the other day that I have to share with you here. It’s one of those things that makes you think, or actually say, I can’t believe I just heard that. A fellow I know was talking to someone else. They were talking during the past weekend about driving fast cars and their experiences at the wheel of said vehicles. Huh? What the … ? Fast enough? Do ya think? I laughed out loud. I looked another individual I know. We made eye contact. She and I were thinking precisely the same thing: Did he just say what I think I heard him say? I’m trying to imagine what it would be like to drive that fast under any circumstances. I cannot even begin to fathom doing so with my family in the same vehicle. I’m glad he completed the drive … safely. Petraeus gets a pass for mishandling classified info? Donald J. Trump said Hillary Clinton should be in jail over the way she used a personal e-mail server. Now he’s considering a retired Army general for secretary of state who actually pleaded guilty to mishandling information and lying about it to federal investigators? 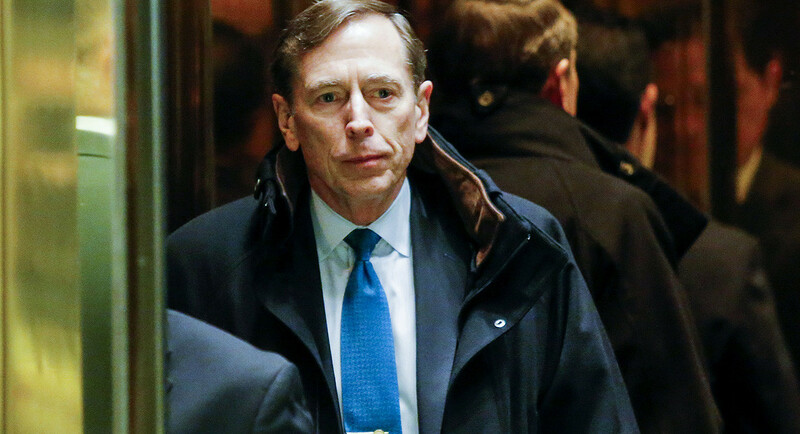 David Petraeus is being considered for the State job. He’s a dedicated and highly decorated retired military officer. He served his country with great distinction. However, he got caught doing something he shouldn’t have done and then admitted to doing it. Does the president-elect look the other way as it regards the general while insisting that his former campaign opponent should have been locked up? Here we go … again! The Texas Legislature is going to consider a bill — maybe more than one of them — to ban cities from deploying red-light cameras at dangerous intersections. Stop me before my head explodes! Amarillo is one of those cities that has put the cameras to good use at various intersections. 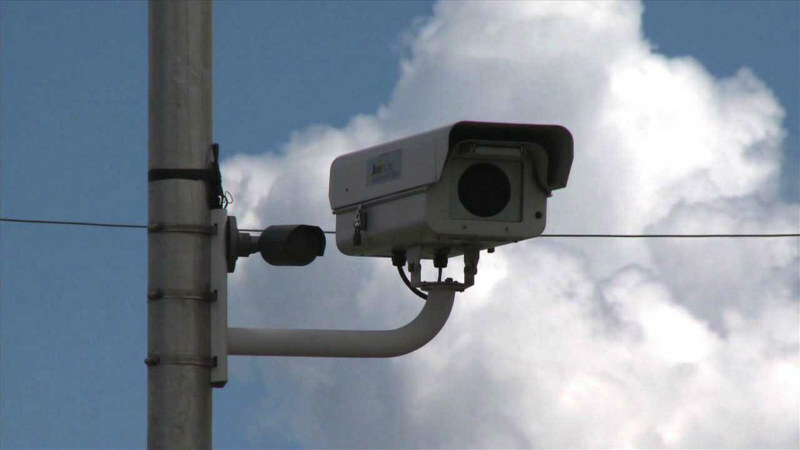 City traffic and police officials reported recently that the cameras are doing their job. They are preventing motorists from running through red lights and putting other motorists in jeopardy. But that ain’t stopping lawmakers from seeking to ban the cameras. The irony of this effort in this legislative body is too rich to ignore. I’ll start with this fact: Republicans dominate both legislative chambers. The Republican Party traditionally has been the party that seeks to invest more control of government affairs to local authorities. Not so as it regards the cameras. In this instance, the paternalistic state is better equipped than the locals to determine whether there is a need for police to have some electronic help in preventing motorists from ignoring red lights. Yes, some cities have taken the cameras down after using them for a time. Residents don’t like them? Fine, cities react to their constituents’ concerns. Lubbock had them. Then they took ’em down. Amarillo has deployed the cameras since 2008. Sure, there’s been some griping. Has any group put together a petition drive to get them taken down? No. The City Council remains firm in its commitment to using the cameras. I applaud the council for its persistence. In the interest of full disclosure, I’ve been caught once running a red light. I didn’t do it on purpose. I just forgot about the camera posted at 10th and South Taylor in downtown Amarillo; I drove through the intersection and got caught. The camera took a picture of my car’s license plate and I got a ticket in the mail; I paid the ticket. I have no clue whether the Legislature will make good on its effort to interfere with local prerogative. I do hope, though, that it backs off yet again. 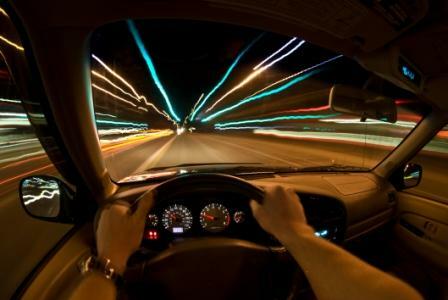 Let local traffic and law enforcement authorities determine the best way to keep lawbreaking motorists in line.